Looking for heart-pounding, white-knuckle thrills? 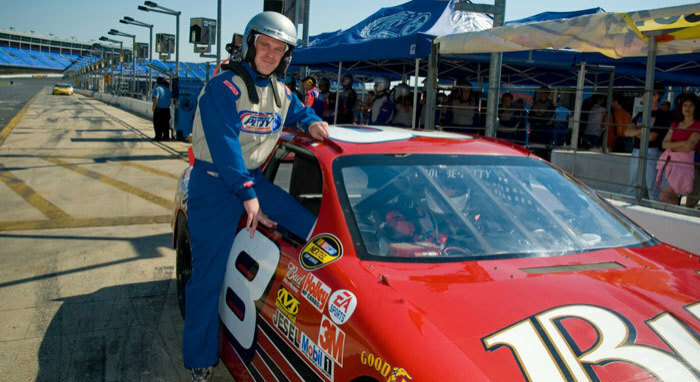 Experience a 600-hp NASCAR-style stock car at speeds of up to 165 mph with Richard Petty Driving Experience. Your hands are on the wheel, your foot is on the gas, and YOU are in the driver’s seat during one of our exciting driving experiences. Not quite ready to take the wheel? You can climb in the passenger seat for a 3-lap, high-speed Ride-Along with a professional instructor. Available at Charlotte Motor Speedway.